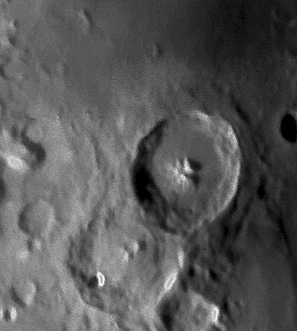 This is the crater Theopholis. This shot is from a eighteen day moon taken at f/20. It is an four frame mosaic.